Box subscriptions are all the rage these days, and they've come a long way from their product sample beginnings. What started as a way to offer samples from independent artisans and beauty product manufacturers is now a hundred-million-dollar business that encompasses several industries — from food and beauty to toys, books and tech accessories — and caters to folks of all ages. Aggregators like LootCrate.com and CrateJoy.com are cashing in on the trend, offering a plethora of choices for different palates. What's the appeal? Getting an attractive, goodies-filled package in the mail every month, for one. It's also a fantastic way to test out new products as well as discover small businesses to support. Plus, they make terrific, and easy, gifts. In the tech world, there aren't a lot of hardware subscription boxes available. However, there are several tech-, science- and gaming-related ones out there that are worth trying. There are baby boxes with toys that help develop motor and cognitive skills as well as gear designed to make new parents' lives easier. There are also fun ones with educational kits for kids and tweens as well as comic- and gaming-themed collectibles for adults. We've scoured the web for the best gift box subscriptions. Here are our 14 top picks. The Bluum baby box promises a monthly delivery of four new goodies to address the needs of both mommy and new baby, from pregnancy through preschool. And at a much lower cost than the products' combined retail prices. 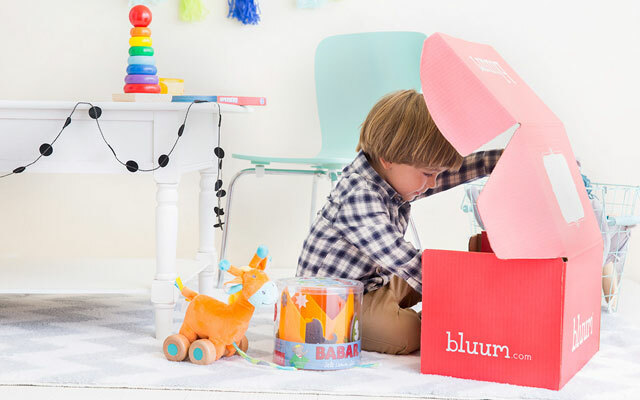 Each Bluum box is expert-curated and only contains baby, toddler and mom products that are highly rated on Amazon — from toys and books to gear and daily essentials — and that are personally handpicked by the Bluum team themselves. While you won't necessarily know every single item in each box prior to delivery, you will be given a sneak peek. The subscription also comes with a guarantee that every product will be relevant to your child's age and development stage. What's more, if you're not happy with your box, you can select a different one. And you can choose between a six-month, 12-month and month-to-month plan. Every parent knows the importance of developmental toys, how valuable they are to kids' mental growth, motor development and creative play. With CrateJoy's Hoppi Box, busy parents need not worry about finding, testing and picking out the best toys for their kids — the subscription service helps them out by working with child development experts who curate each box with toys tailored to the child's age and milestone. Each Hoppi Box contains an assortment of age-appropriate, high-quality and eco-friendly toys, so it's perfect for eco-conscious parents. The quarterly subscription ships every three months in March, June, September and December (order before the first of the month to receive the box for that quarter). 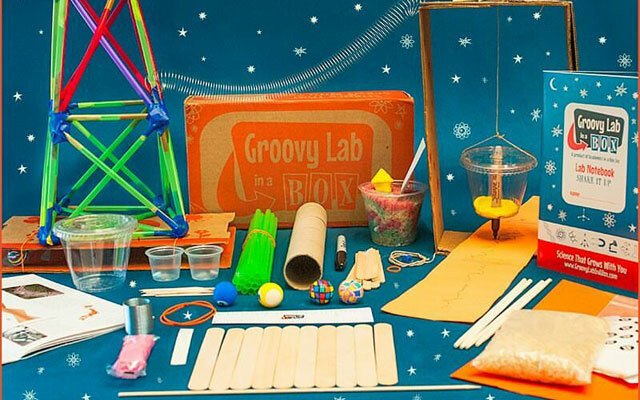 If science, technology and mathematics are your kids' jam, then look no further than Groovy in a Lab Box. The recurring subscription service, which offers several plans and a “Gift It” option, offers all kinds of products that emphasize STEM education and encourage your child's curiosity, scientific inquiry and analytic thinking. Examples of the fun, retro-wrapped packages include a circuit-making kit, a set to explore simple and complex machines, a box that explores how aeronautics work, and a kit to build your own weather station. Though those may all sound costly, this subscription is surprisingly affordable. It's best for kids ages 8 and older, and options range from month-to-month to a pre-paid 12-month plan. Kids who are particularly interested in science and art will find an ideal match in KiwiCo's Kiwi Crate. The monthly subscription service, which you can do on a month-to-month, three-month, six-month or 12-month basis, is designed for kids ages 5 through 8 who love getting hands-on with science experiments — rocket and pinball-making kits, to name a couple — and art projects. Tinkering and creativity are key with these boxes, which also come with a copy of explore! Magazine for more experiments, games and DIY ideas. Upgrade to a deluxe box for an additional, specially curated book that matches its theme. Kiwi Crate's older sibling, Tinker Crate, takes the experiments a bit further with STEM-themed supplies. Monthly Tinker is designed with kids ages 9 through 16 in mind, and each box contains the materials for a STEM project, a blueprint for instructions, a copy of Tinker Zine (which has more experiments and activities) and access to online tutorials. Past crates have included a kit to build a functioning mini trebuchet, a hydraulic lifting claw-making kit, a DIY fiber-optic constellation décor and an infinity mirror project. Much like little sister Kiwi, Tinker runs on a month-to-month, three-month, six-month or 12-month subscription. 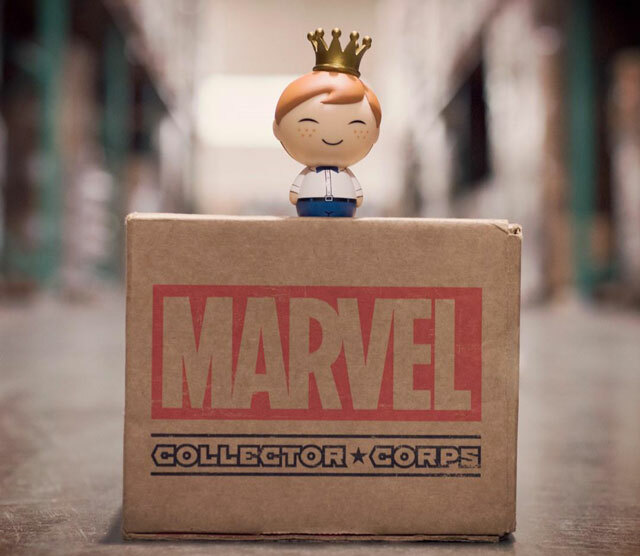 For fun and indulgence, pure and simple, Collector Corps' Marvel subscription box is just the ticket for Marvel and superhero fans. Whether your tweens and teens are comic book purists or they love the movie franchise as well, this Marvel and Funko collaboration is a great way to satisfy their inner nerds. Each box, which ships every other month, comes with four to six high-quality collectibles from Marvel and/or Funko plus cool apparel that matches the theme, which is timely and often reflects whichever Marvel movie is coming out soon. Even cooler is that, per the company guarantee, each piece is unique and available only with the subscription. If wine isn't their thing, not to worry: the Craft Beer Club offers a subscription box for the beer-lover in your life. 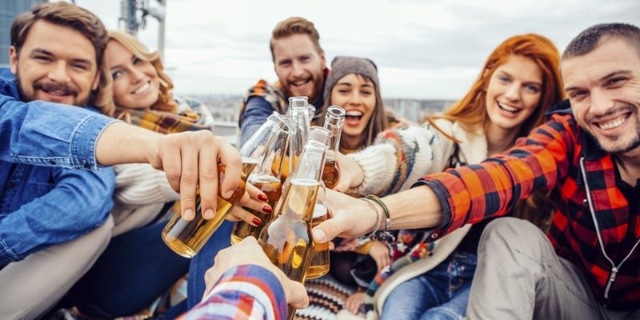 Every month (or every other month or every quarter, depending on subscription), your gift recipient will receive 12 or 24 bottles of the best craft beer from around the country, all sourced from small, independent brewers. If you're tired of watching reruns of DIY television shows or are ready to try your hand at building things, Quarterly's Maker Box might just be the perfect jumping-off point. It also makes for some great group projects. This quarterly subscription is all about “making.” Quarterly partners with an expert each quarter to curate a box to do things like building your own planetarium, launching rockets or starting your own mini farm. November's curator was MythBusters' Adam Savage, who packed his box with tools he uses on a daily basis, and May's curator was Neil deGrasse Tyson, who filled his with astrophysics-related kits. 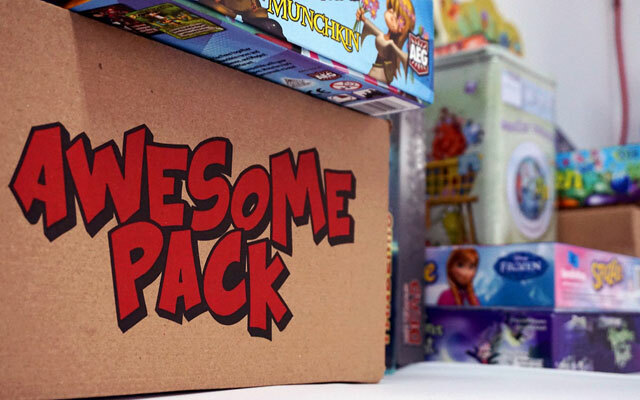 With the Awesome Pack subscription service, you have two incredible options: the Family Pack and the Big Kid Pack. Both contain games, activities and goodies curated to entertain the whole family and your friends. The Family Pack contains six to eight items including a board game, a family activity, an activity for two kids, an activity book and goodies for the whole gang. Each pack, which starts off with contents for two adults and two kids, can be customized depending on your family's size and your kids' ages and individual preferences. It can even be tweaked to include pets. Try the World's monthly subscription service will appeal to travelers and foodies alike, with each box curated to bring seven to eight artisanal and local products from a particular country right to your doorstep, along with recipes and interesting tidbits about the foods' origins. Past boxes explored culinary creations from Morocco, France, Portugal, Argentina and Spain, for example. And if sweets and desserts are your thing, they've got a snacks subscription as well — sign up for a box of six snacks from six different countries every month for half the price of the country box. For travelers looking to test out adventure and outdoor gear, The Nomadik is just the ticket. 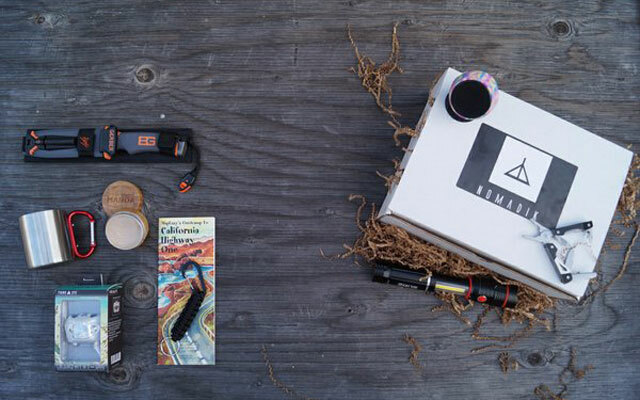 The monthly CrateJoy subscription caters to outdoorsy types and adventurers at heart, and features high-end gear and accessories like pocketknives, survival tools, camping stuff, backpacking apparatus and even apparel. Each box boasts three to five gadgets and items — often products you won't typically find in many stores, and that have been tried, tested and approved by a world-class adventurer — that altogether cost about $50 or more, saving subscribers a few bucks. If there was ever a box that will get you excited about a camping trip, this would be it. 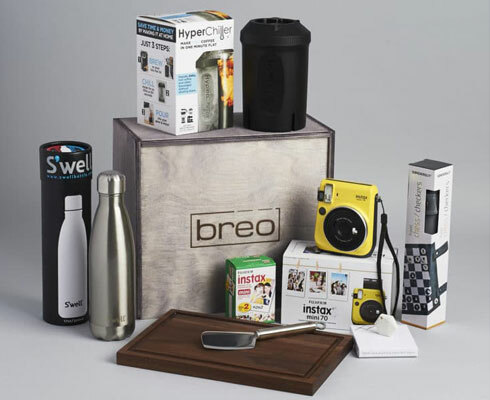 While it's designed for everyone, Breo Box's urbane crate subscription, which curates lifestyle, fitness and tech items in one box, might appeal more to women. Past boxes have included a S'Well bottle, an Instax Mini 70, copper mugs, a food scale and an Amazon Echo Dot. 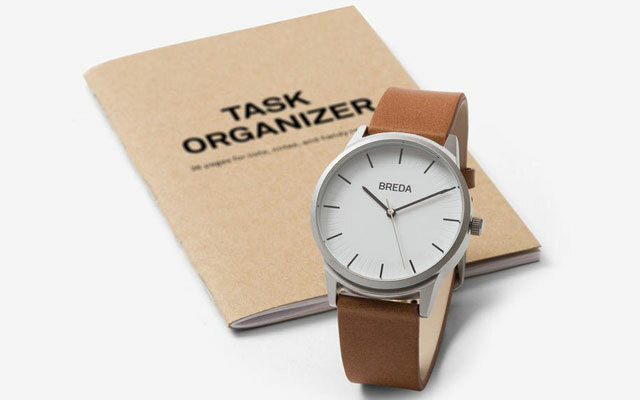 These gorgeous boxes, which contain several high-end gadgets and accessories that you can use in your everyday life, are delivered to your door on a quarterly basis. That means you'll get a special box of six to nine items for every season. This subscription might be a little pricier than most, but it's certainly worth it if you've got the funds. You can pay per-quarter or prepay for an annual subscription and save a little. One-time gift boxes are also available. Winter, spring, summer or fall — or whenever you feel like it, really… Casely's recurring membership lets you spruce up your iPhone on a monthly, seasonal or on-demand basis with great-looking polycarbonate cases. Simply choose your style preference, iPhone model and plan to set it up. You can also add a glass screen protector to your box. And if one new case a month (or a season) proves too much, you can skip a month or cancel your subscription anytime. Aptly named, Bespoke Post's subscription boxes, curated especially for men with a sophisticated palate, make classy gifts. Self-proclaimed “themed boxes for guys who give a damn,” this monthly subscription service boasts boxes with $70+ worth of artisanal products, upscale kits and even cool gadgets and gear, all for less than $50 a month. 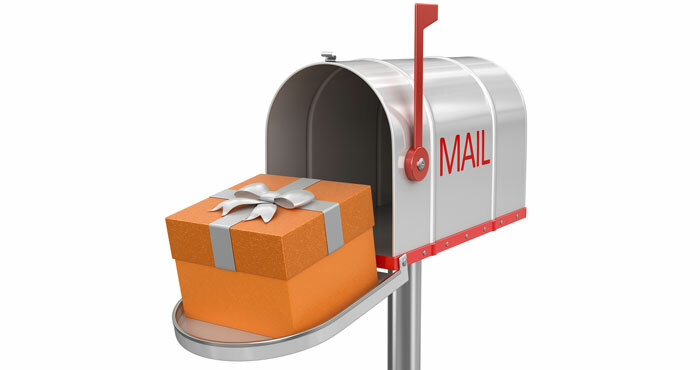 Recipients can personalize their boxes by choosing colors and sizes as well as adding a few extras; and if you fancy a particular product from a box, you can even purchase more of it from the online shop. Past themes include Churchill — a cigar kit, Refresh — a morning grooming kit, and Mangia — a pasta making kit. Each TekCrate package, which purports to help you "maximize the technology you use in your daily life," boasts utilitarian gear, cool geek gadgets, and even PC and gaming accessories. This monthly membership is a great way to keep up with the latest trends in the tech industry, with three to five items in each box. Choose the category you're most interested in: original, geek, PC or gift. If you prefer the more utilitarian, go for the original, which includes useful gadgets like a Wi-Fi USB adapter. Or spring for the gift box, with fun items like an Ironman figurine and a wireless speaker. I got my first (and last) Conscious Box. Never have I been so disappointed. The “cacao flavored) apple chips were moldy, the fragrance sample smelled as toxic as the first floor at Bloomingdale’s, and the lemongrass summer soap not only smelled awful, its fragrance permeated everything else in the box, most of which was coupons I didn’t want for products I’ll never buy. In the same general category, the Vegan Cuts box, although more expensive, is consistently great. These are great recommendations. I would have love to have had these boxes to send when my sons were in college. I think the geek box is perfect to send my son in California, who is impossible to buy for. Thanks. I absolutely love this list - thanks so much. sub boxes are perfect for gifting and will probably make up about 95% of the gifts I send this holiday season! This is a good list you’ve got here, I like how you categorized them per people’s interest. It definitely makes things a lot easier. I’ll be considering these options for the next holiday season, personally I have my eyes set on Pijon and LootCrate. I have the BarkBox and needless to say the puppies love it. They don’t even bark at the UPS guys anymore haha! I ordered my mom one called RetroPopBox which has all kinds of nostalgic cool stuff from the 60’s. She loves it. Love the gift box for geeks! The Birchbox products are of course awesome as well. It’s nice to try new samples every month. I didn’t know about the one for dog owners…that’s definitely unique. I love this box. It’s really upgraded my wardrobe and helped me try new styles that I wouldn’t have thought of. I give them as gifts, as well. The box is really pretty so it’s like receiving a wrapped gift in the mail every month. Cool gift boxes. They are great!